Landscape architecture is basically the art of designing the outdoors of huge open spaces, structures, and landmarks to create beautiful, functional and environmental results. Landscape architecture normally involves looking deeply into geological and ecological conditions and planning the whole process of what will go into the landscaping process. It also involves thinking ahead about the most ideal interventions that will create the outcome one desires. The process of undertaking this process often needs some certain amount of skills and inspiration. After all, any form of art is driven by some sense of inspiration. Here is a list of some of the magazines that you should pick up and read through for a better understanding on the art of landscape architecture and also where you can find inspiration for new, better and functional ideas. 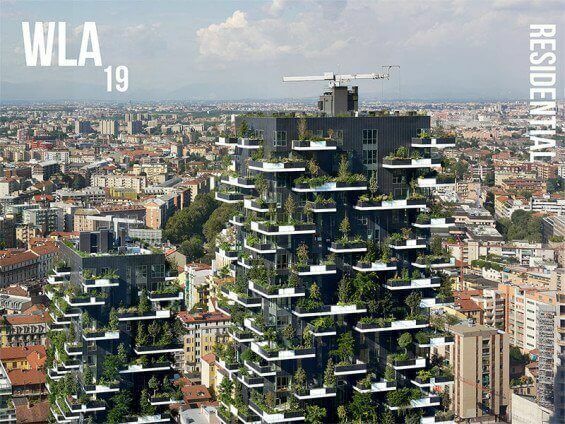 World Landscape Architecture or WLA as it is commonly referred to is a landscape architecture magazine that is published quarterly and it covers topics affecting the whole world. The scope of all the publications within the magazine is very wide and most pieces are sent in by companies, educators, students and designers who are conversant with this field of study. As mentioned before, the scope of the content in the magazine varies and so does the typology, scale and focus. This magazine is essentially geared to give its readers first hand information from the market leaders themselves. It’s a great forum for such companies to talk about what they do and potentially talk to an international audience. The magazine covers on-going projects happening anywhere in the world and thus its readership is just as wide. It’s one of those must have magazines for someone who is passionate about learning more in all matters outdoor designs and aesthetics that work in a garden. The main focus of this publication is to provide its readers with in-depth features and helpful tips and ideas from seasoned gurus in the field of landscape architecture and design. Most of the pieces that readers will read through in the magazine are courtesy of the best landscape architects and designers. The magazine also gives its readers an opportunity to read about what plants combinations work well together, how to select the right materials, how to create unique outdoor styles and furnishings. The Garden Design magazine has a wide selection of vivid photographs in full color within its pages. This fact also makes it more appealing to its readers. This is a simple yet helpful magazine that is offered for free at a few selected outlets. What makes this magazine stand out from many other is the sophistication it offers as well as its unique layout. Especially when it comes to visual images. All the written pieces found within the Landscape Design and Garden Magazine are thoroughly researched on and are always news-worthy and in tune with the times. Interested readers will find that the content is always easy to read and understand. This magazine places its focus on sharing different design samples which readers can choose from. On offer are helpful tips and plans from seasoned landscape architecture consultants and a forum where one can learn from two or more professionals in this field. All pictures included in this magazine are shot by professional photographers so readers can be sure that they will be seeing stunning images. The magazine also runs competitions and invites responses from its readers and this makes purchasing it a better deal. This magazine is definitely a must have in your magazine rack. It would be an injustice to say that you are interested in the landscape architecture industry and not have this amazing magazine among your stash. This magazine is published courtesy of The Ontario Association of Landscape architects. It is published quarterly and the main focus of this publication is that one of giving members and readers an open space where they can share and exchange ideas and info about the profession. The Ground Magazine has won numerous awards and is definitely worth a look or two for anyone who wants inside information about the industry of landscape architecture. It would be correct to refer to the Home and Design Magazine as an all-round magazine. The Home and Design Magazine covers all issues appertaining to interior design and architecture and how they work together. The magazine essentially offers its readers a chance to see the bigger picture and helps them in making the right decision so that the whole home will come out looking exquisite. The magazine is layered with images upon images to act as a visual aid to what the print is talking about. Current and trending interior designers and landscape architectures are also showcased in its pages and readers can read and learn a lot from their vast knowledge and experience. With 10 publications produced every year, it is that one American magazine that people just can’t get seem to get enough of. Dwell magazine is a magazine whose pages are filled with content and images talking about modern design and architecture. Of course this covers landscape architecture as well. Another one of those magazines that one must have in their magazine rack. This magazine is published four times in a year and it’s the perfect magazine to pick up if your main interest in the details and aesthetics as well as how to keep a sustainable environment. The magazine gives its readers tips and fresh advice on matters covering decorations, architecture and general home designing. This magazine has 11 issues disseminated every year and the content within the magazine mainly covers landscape designs, architecture, interior and graphic design , urban planning and conservation topics. This magazine has 10missues every year and it serves as a guide for people who want to venture into the industry of landscaping architecture. The Architectural Digest focuses on connecting its readers to the best of the best in the industry. It would be correct to call Surface Magazine an all-round magazine. The magazine places its focus on matters of architecture, art, interiors, fashion, music and film. Breaks up the monotony of having to read about one single idea and issue on all the pages. Definitely a must have for someone who wants to have a bigger outlook on other matters and how they relate to designing your home and landscape.